My goal was to offer a treat to social media fans at least once a quarter. Our Halloween treat at Coldwater Creek – a free shipping offer that had no minimum purchase. 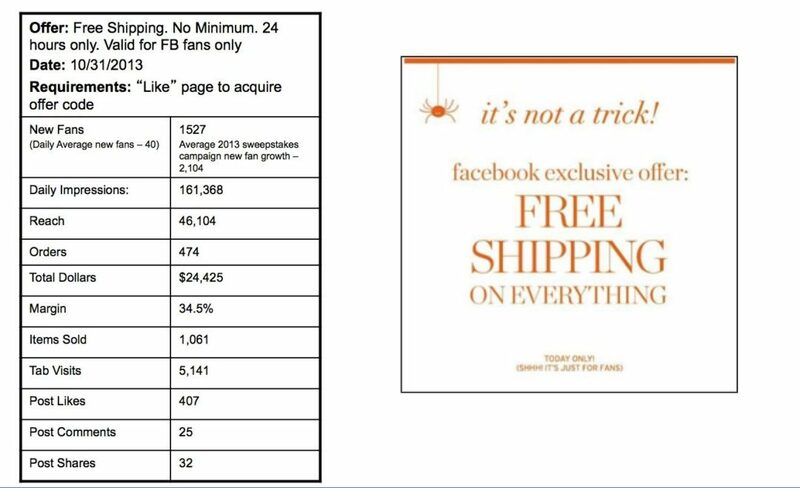 We gained 1500 new fans in the process and we made almost 25K in sales.